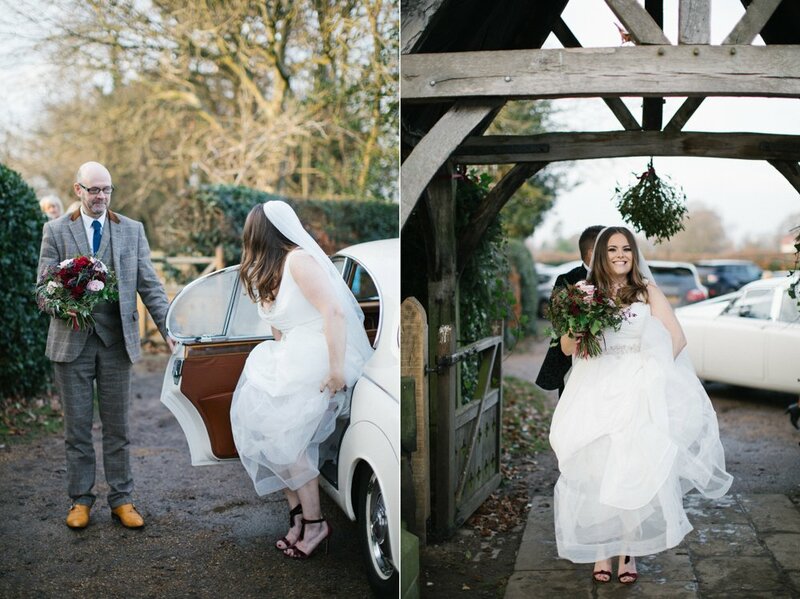 December last year was one of my busiest months. 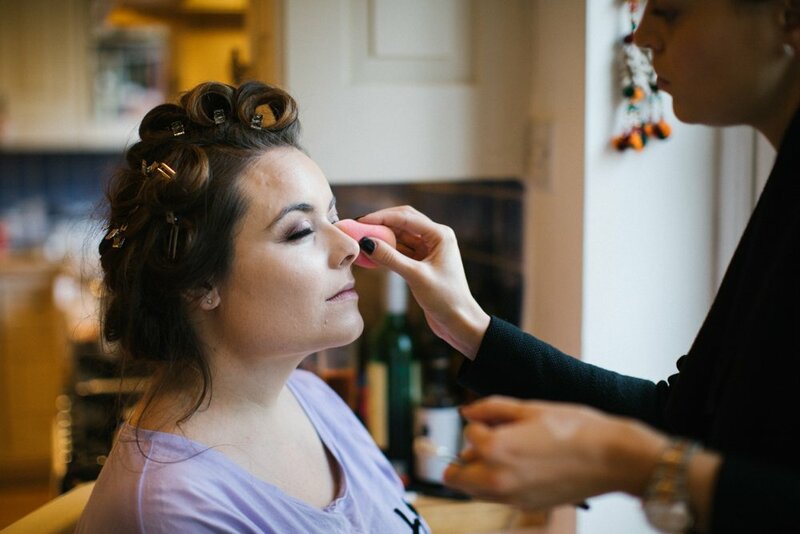 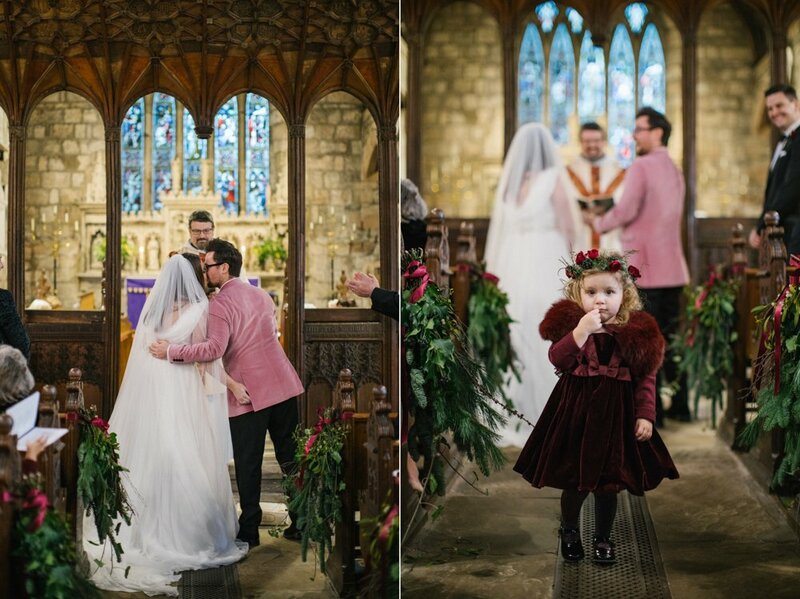 I have definitely seen an increase in couples opting for the ‘winter wedding’. 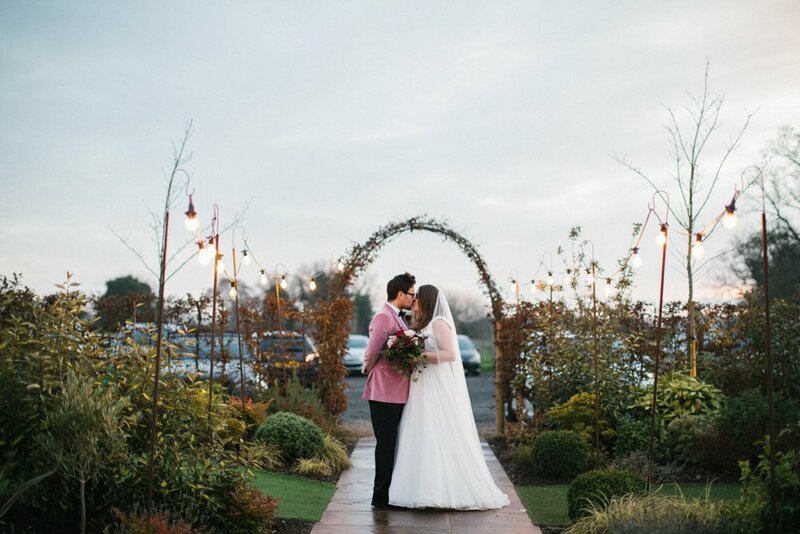 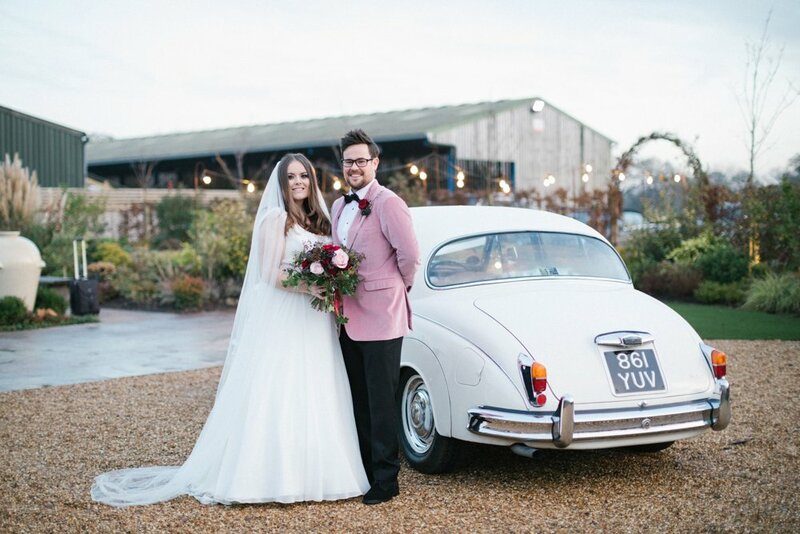 Yes, whilst you don’t get long day light hours and there is a greater risk that the weather might not be on your side (but we all really know, this is the UK and no day is safe from the odd spot of rain) … but there are also many great reason to embrace this season for your wedding. 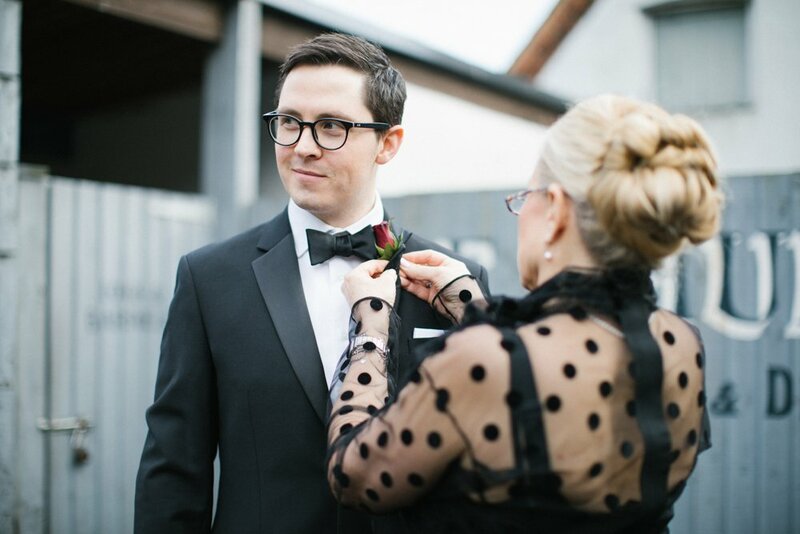 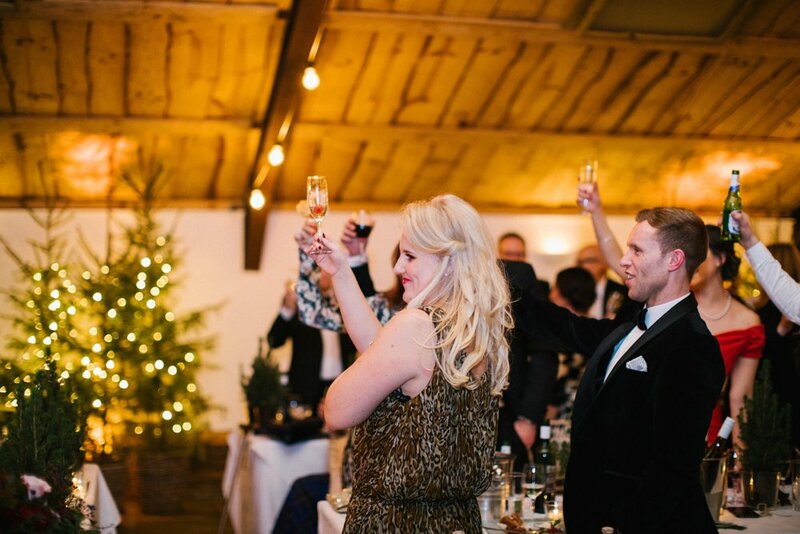 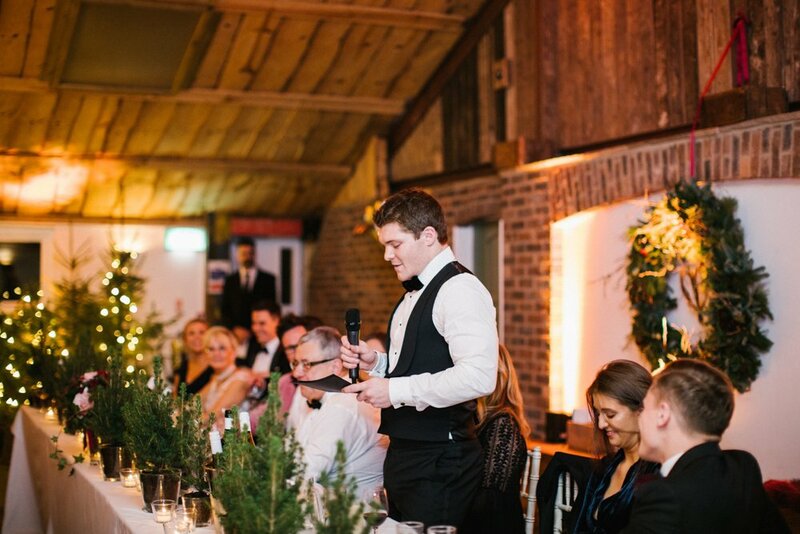 I think Aaron and Natasha’s December black tie wedding was beautifully styled and embraced all the things I love about a winter wedding. 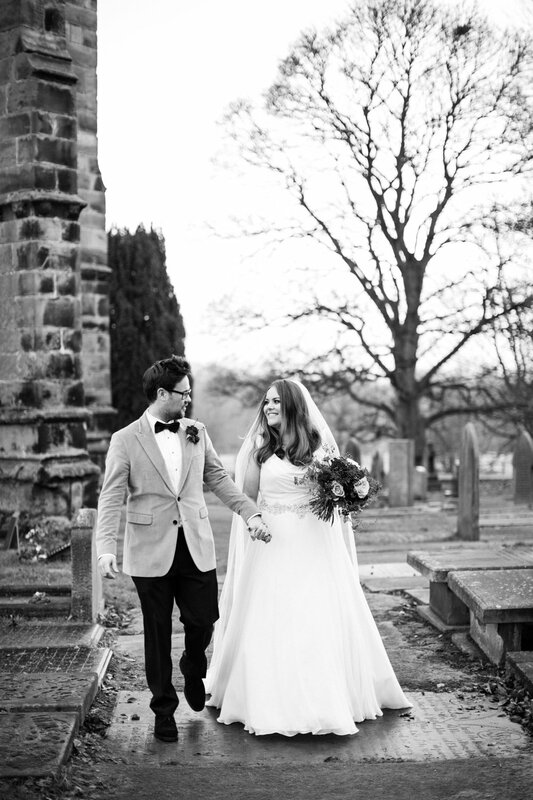 The ceremony took place at St Wilfreds, Mobberley, a gorgeous little church nestled in the heart of the Cheshire countryside. 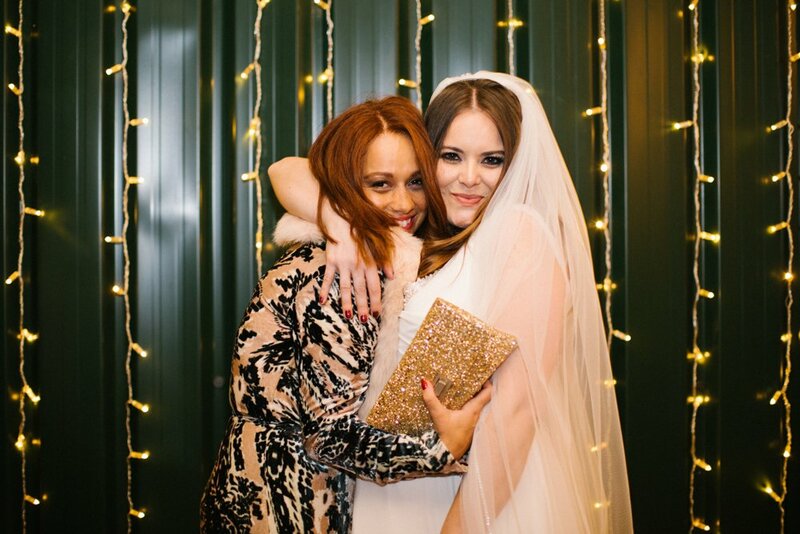 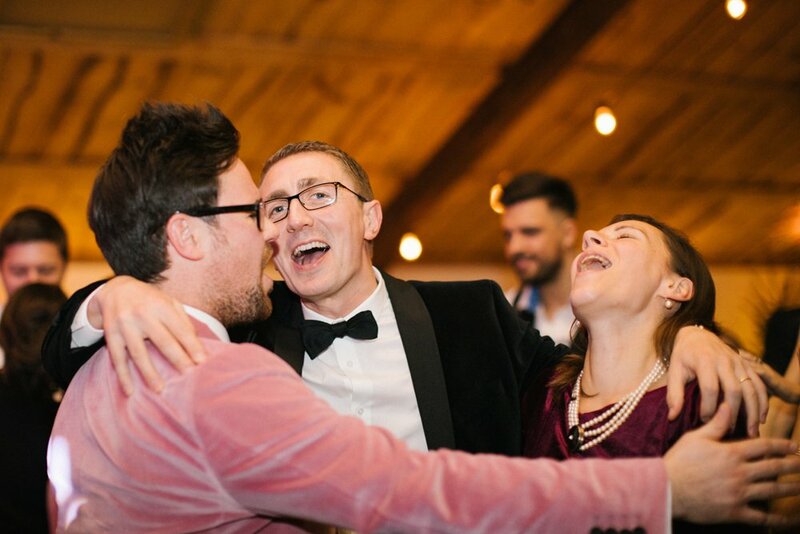 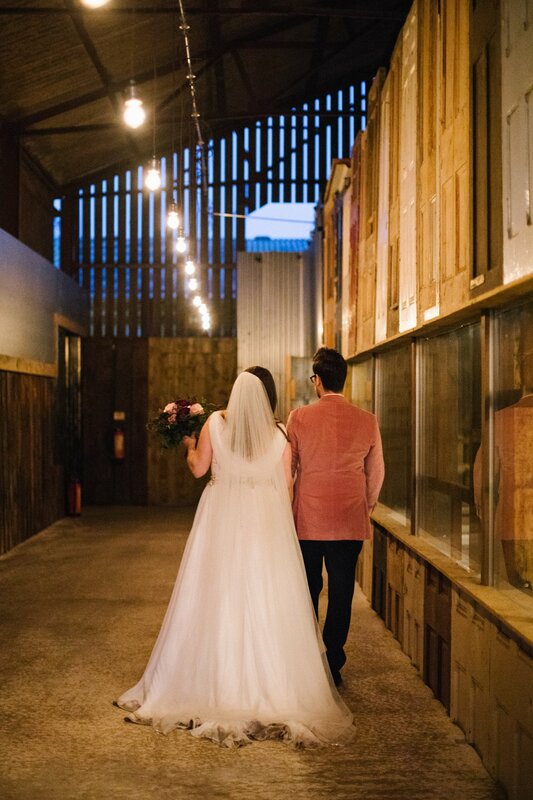 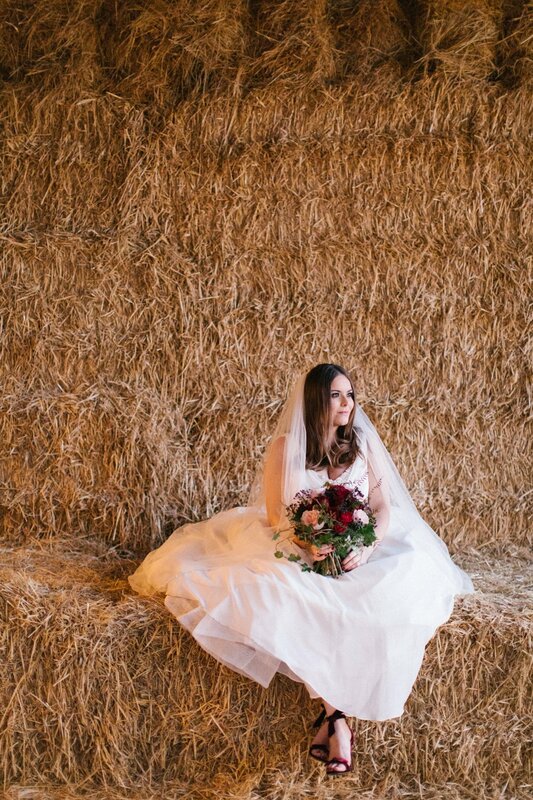 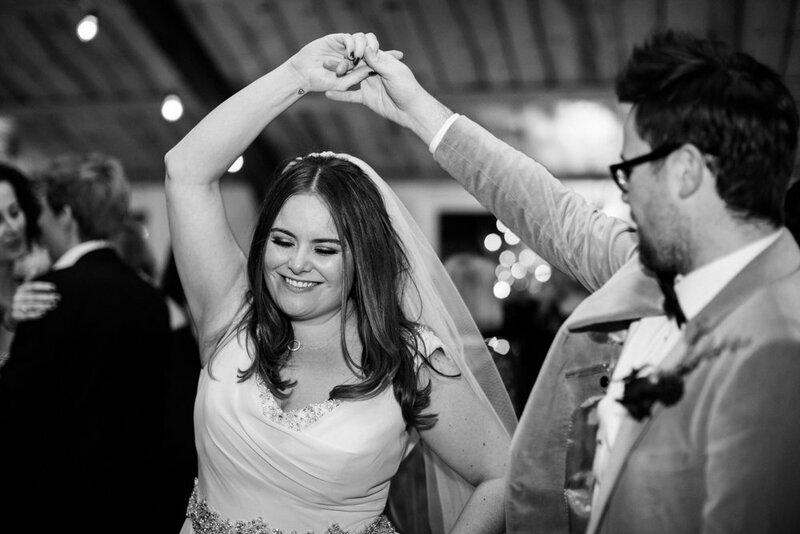 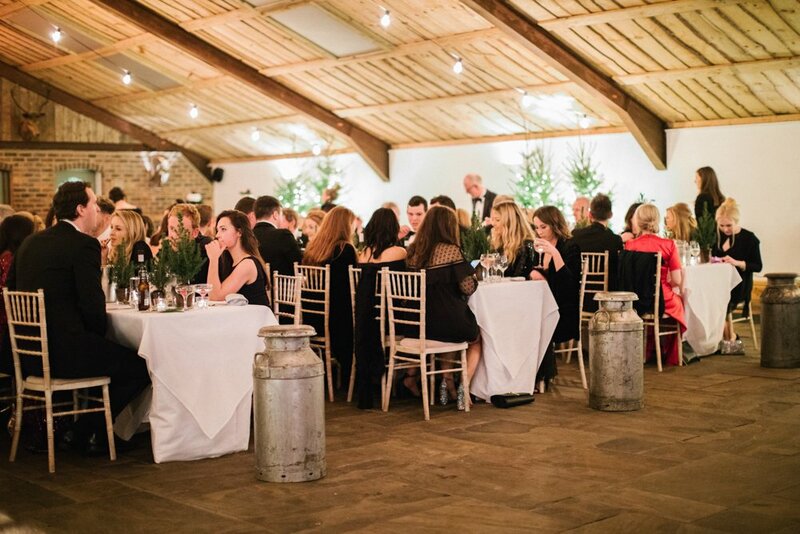 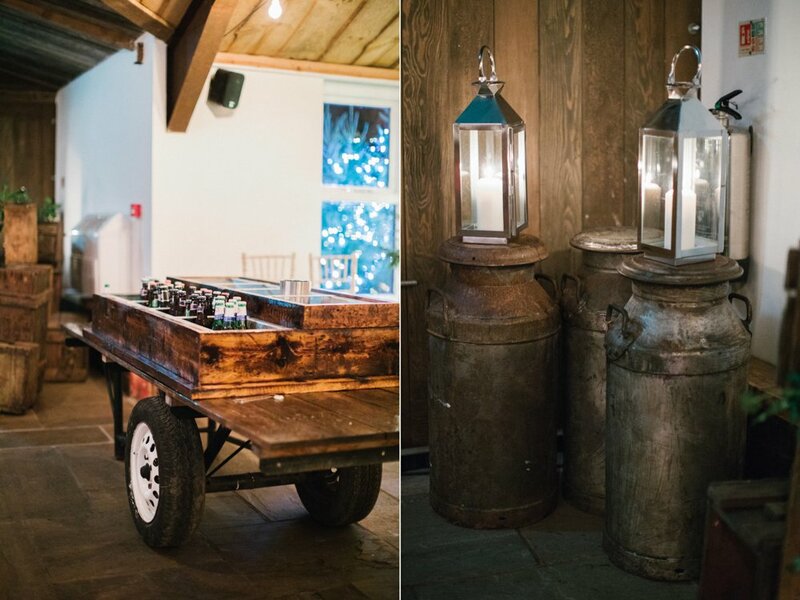 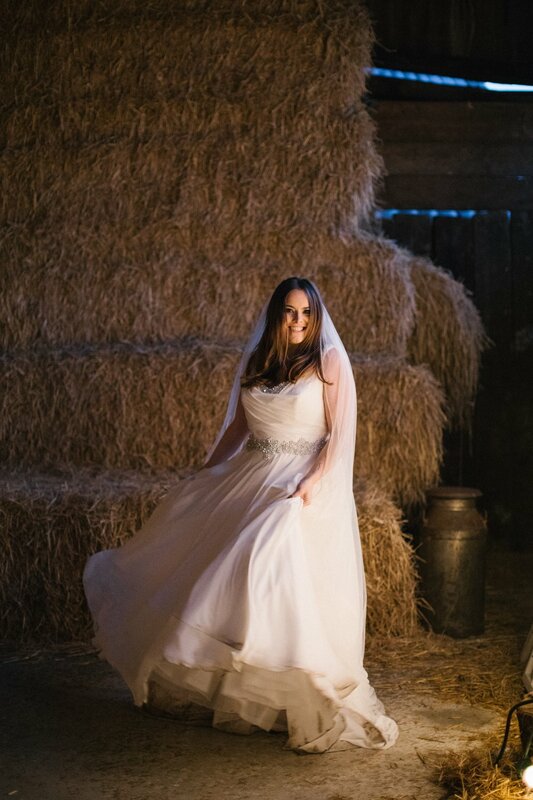 This was followed by the reception at the beautifully decorated Owen House Barn. 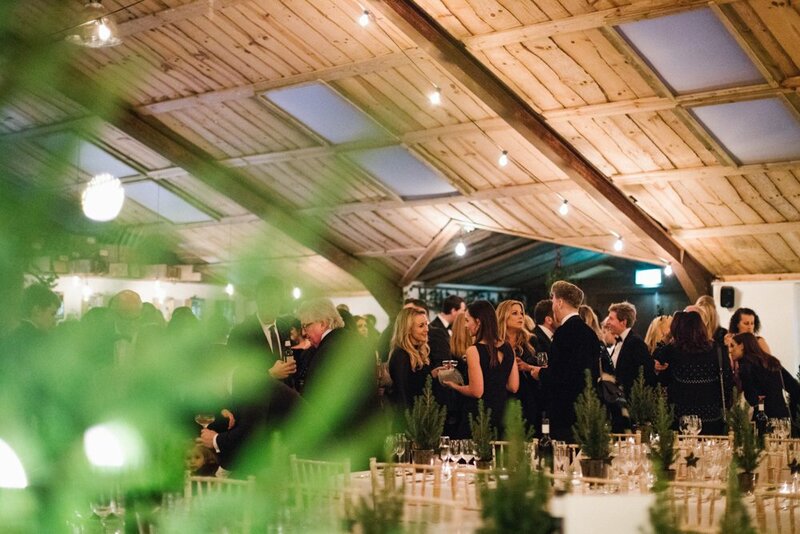 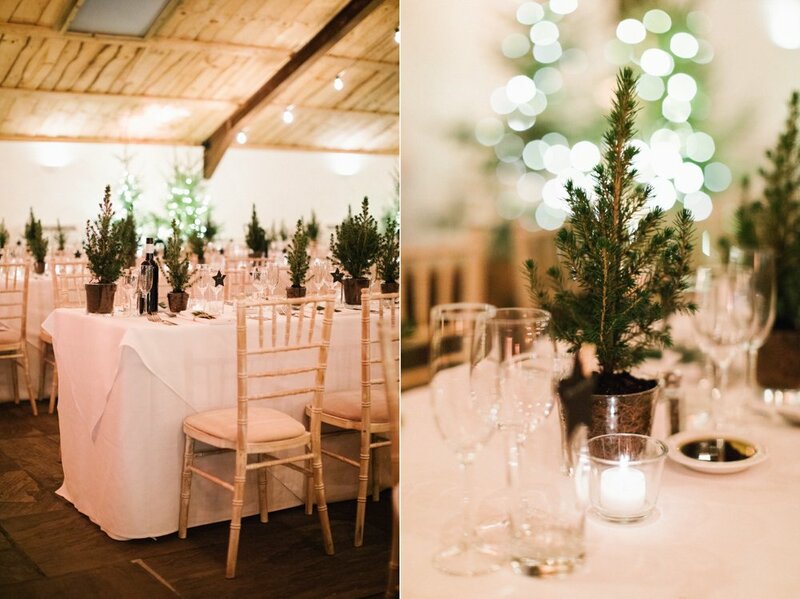 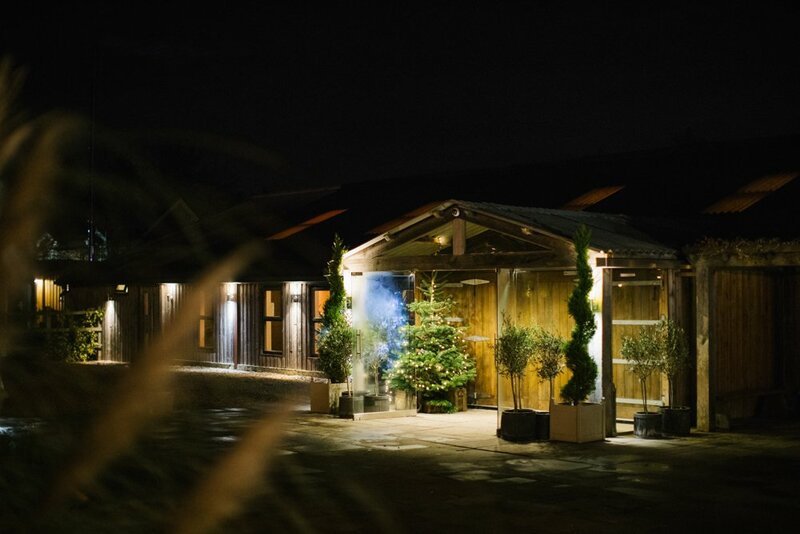 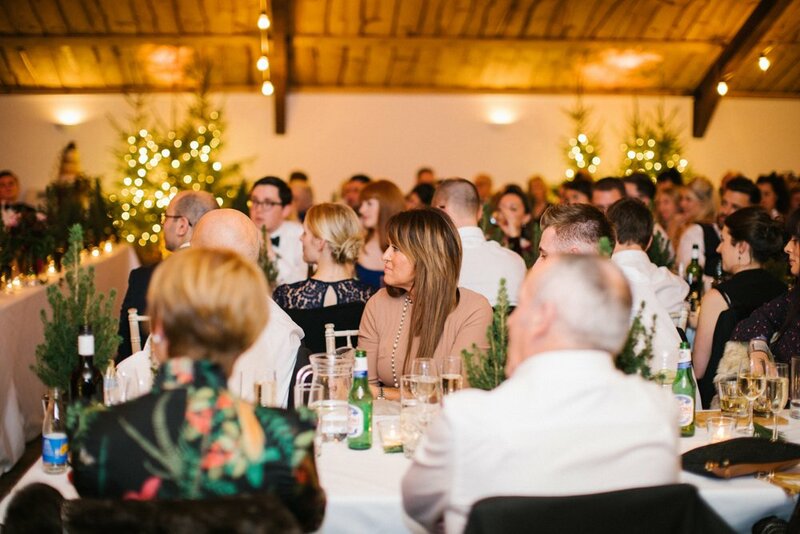 The venue looked magical, adored with fir trees (provided by The Potting Shed) and fairy lights. 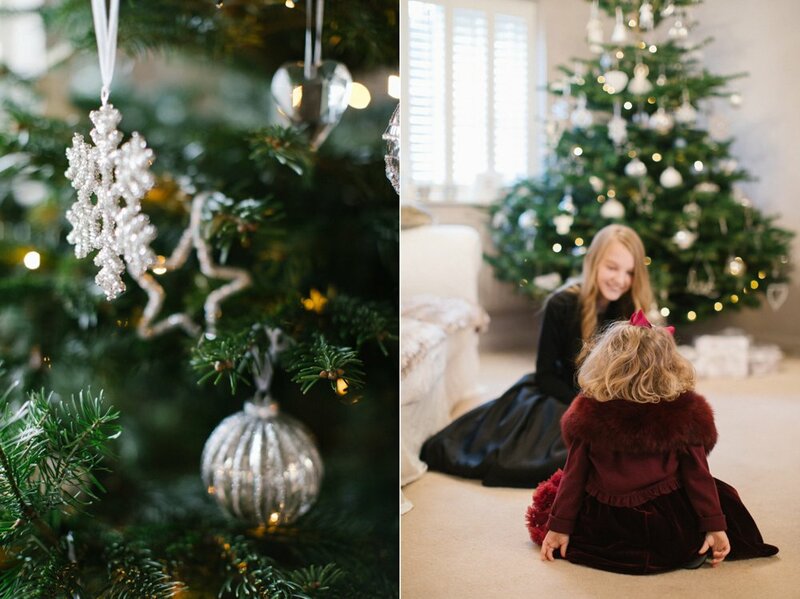 Giving subtle nods to the season (‘without being to Christmassy’ – Natasha’s words). 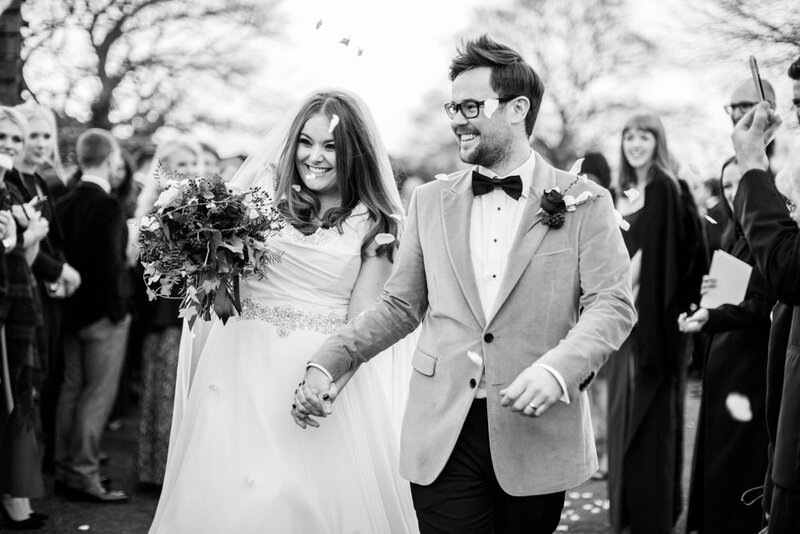 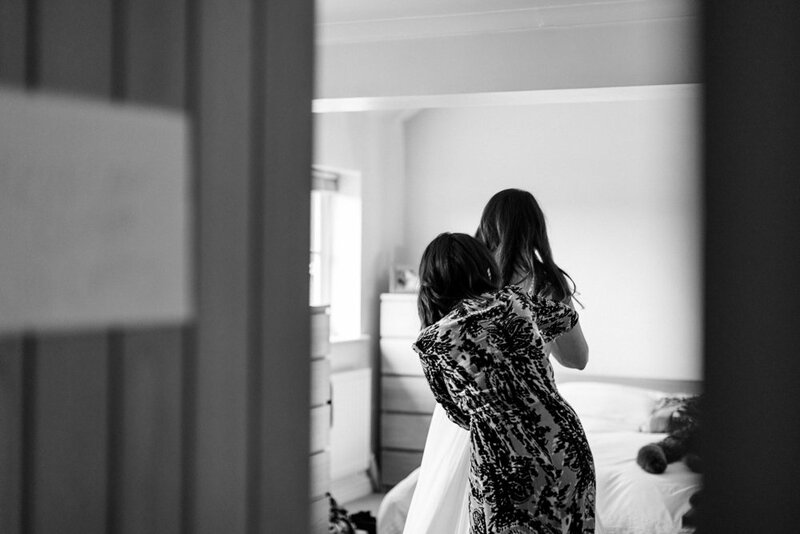 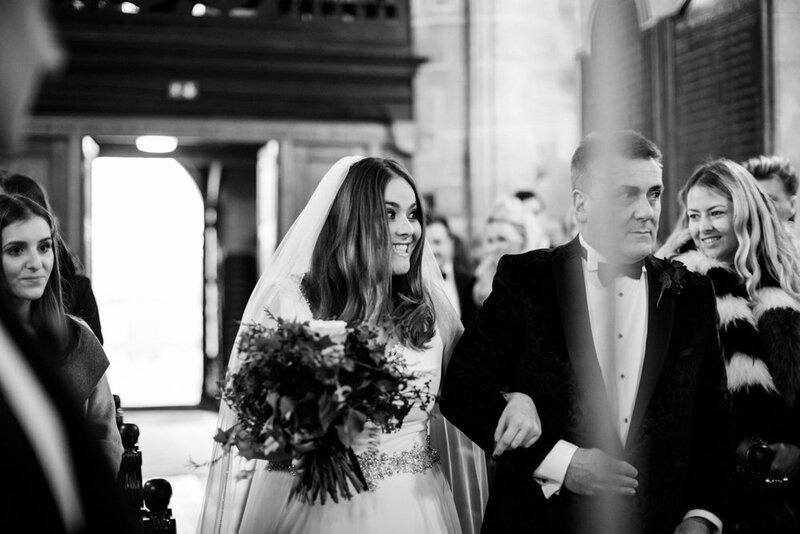 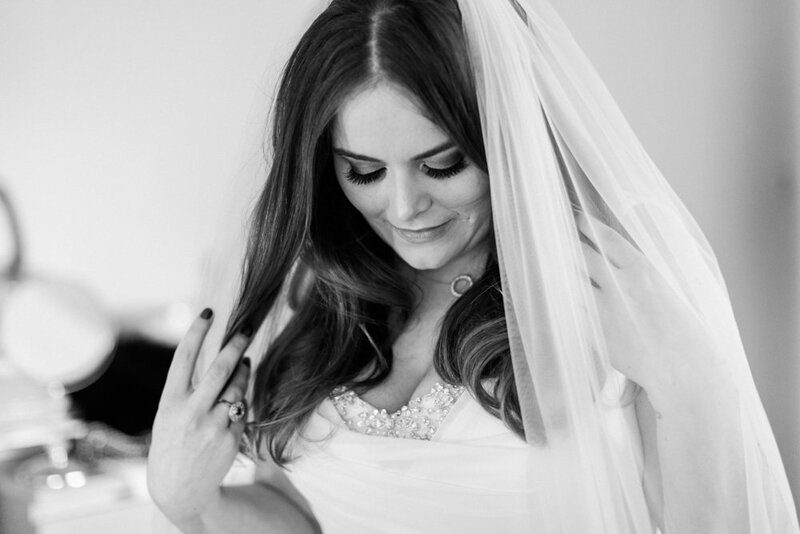 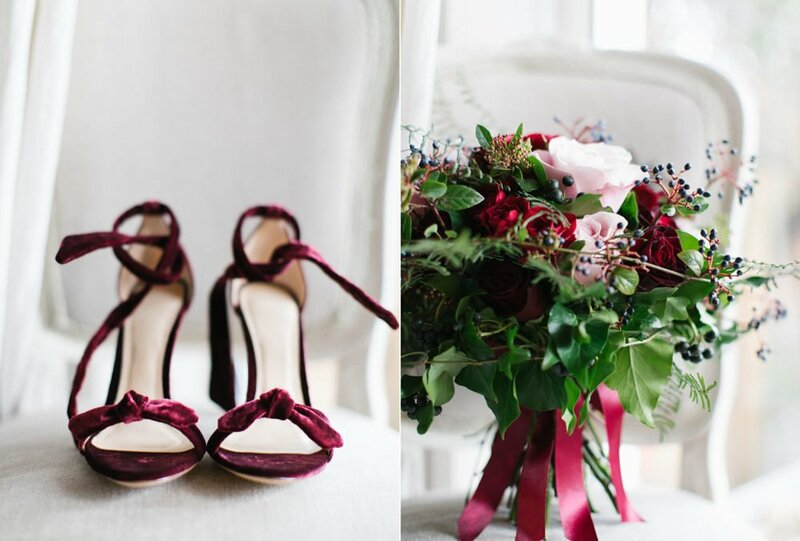 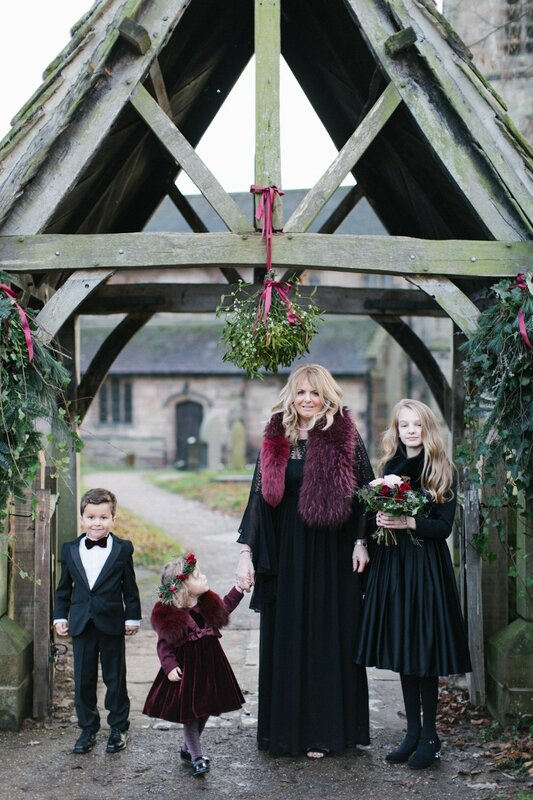 Natasha wore a Ronald Joyce gown from the Knutsford Wedding Gallery and the most beautiful velvet shoes by Alexandre Birman (I seriously want them!). 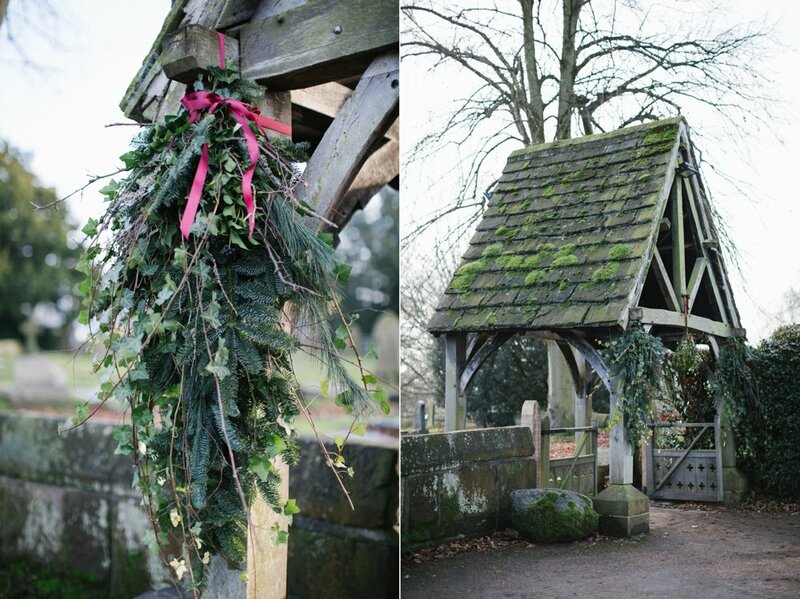 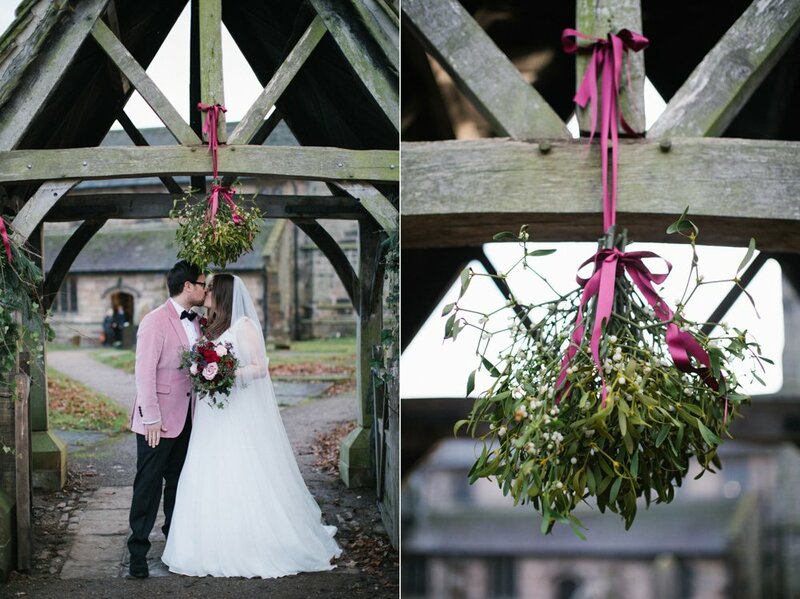 Her bouquet by the Potting Shed was gorgeous hues of berry red, pink and deep greens … colours that were reflected throughout the day. 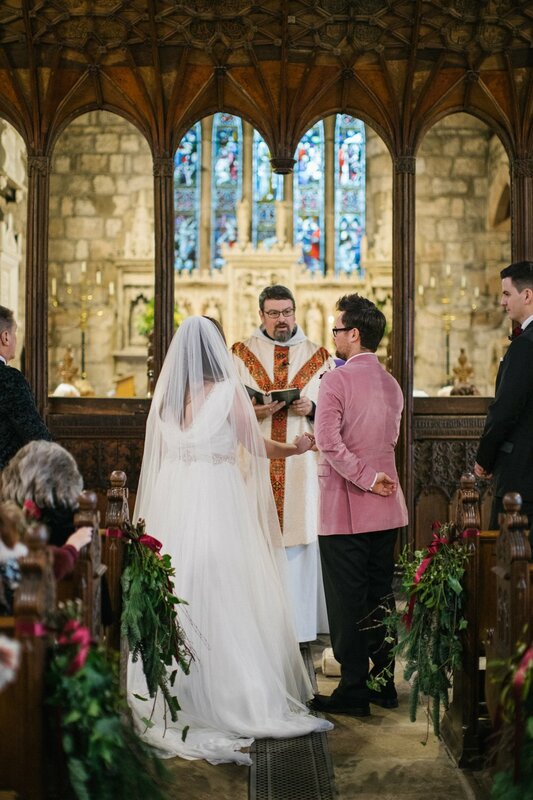 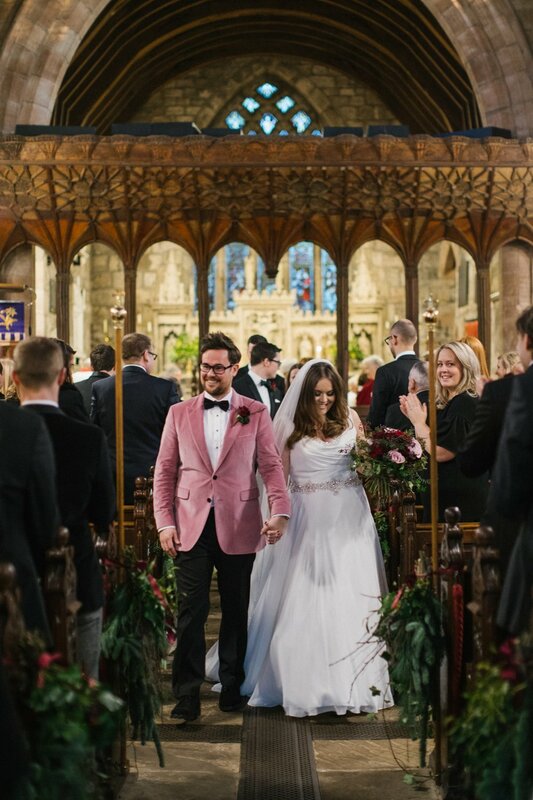 Aaron, also looked amazing in his bright pink velvet jacket from Burberry … he certainly pulled it off! 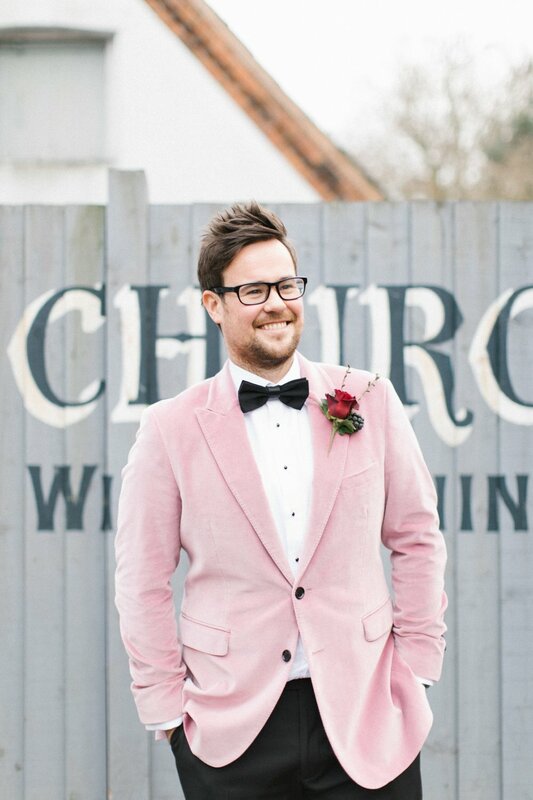 He teamed this with a bow tie and black trousers from Slaters. 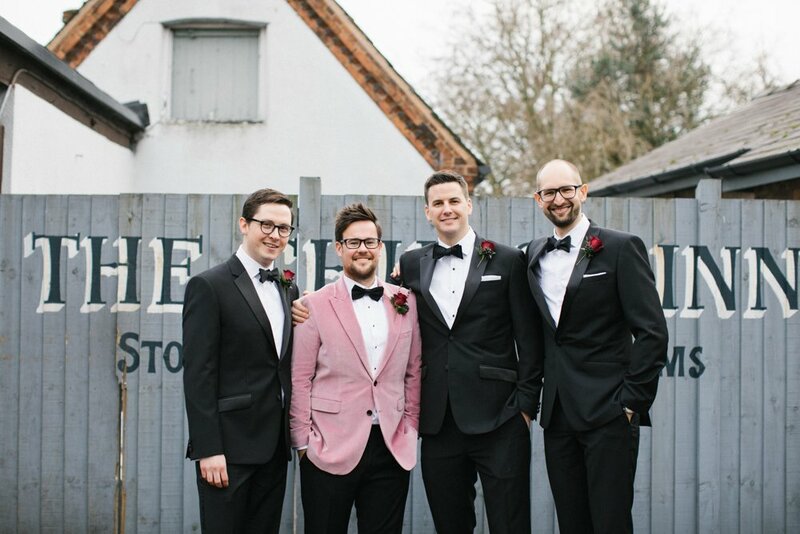 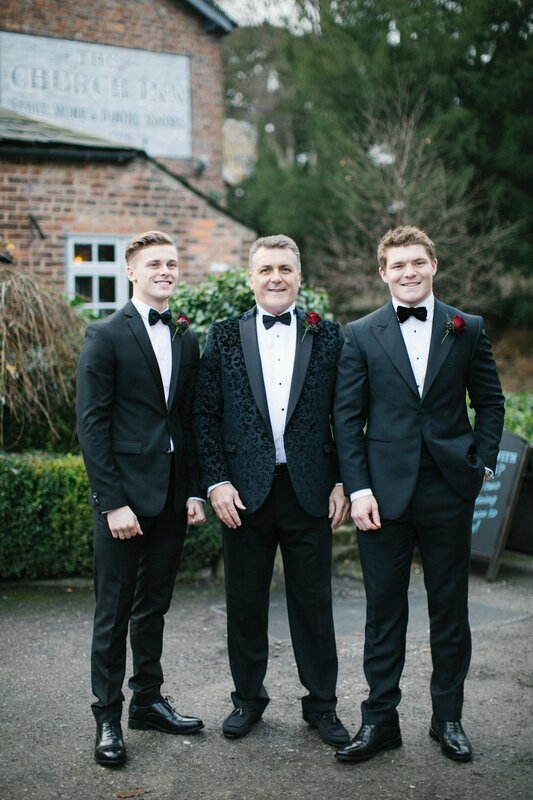 His Groomsmen all worn their own suits. 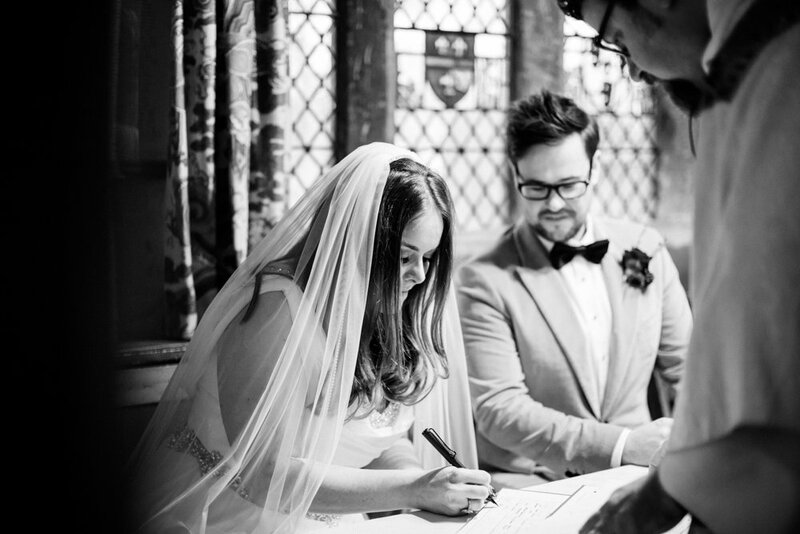 Wedding Stationery – The Brides aunt Debbie Clifford designed all the invites/ seating plan display and the name palces for me. 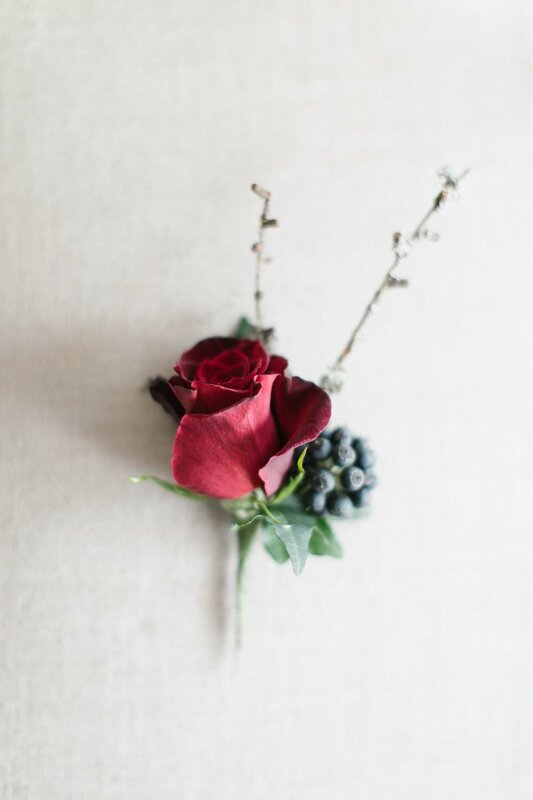 Welcome to the blog where you can explore stories of life & love.